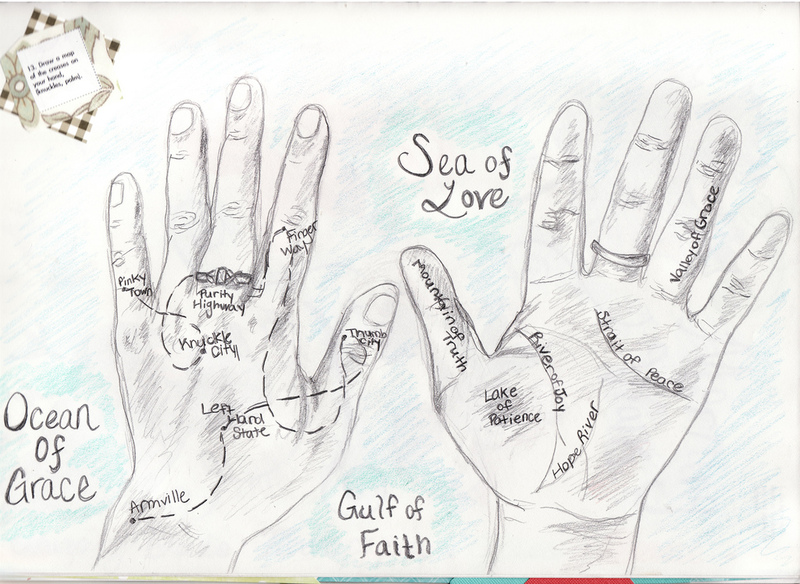 Somewhere far back in my childhood, a visionary teacher asked me to draw around my own hand and color it. I remember feeling delight when I drew my hand and frustration with the blunt and wimpy crayons. Even then I longed for intense color and precise drawing tools. This morning at 3:20 am, my art naturally gravitated to black paper and gel pen. December 6 is only 17 days from winter solstice and the longest day on planet earth. There is something translucent about winter art. The barrier between waking and sleeping seems sheer. The conscious and the subconscious talk to each other more clearly under the blanket of a dark and rainy night. Tonight I draw my hand as an elder, many years from the kindergarten art class. I think of it as a secret letter to myself. Who am I now? What have I become since 5 years old? Is this a life well lived so far? Sometimes the simplest, most childlike art-assignments-to-self can yield the most piercing insights into ourselves. I don’t need to tell you for that for this one, place your hand on your black paper journal and draw its outline. 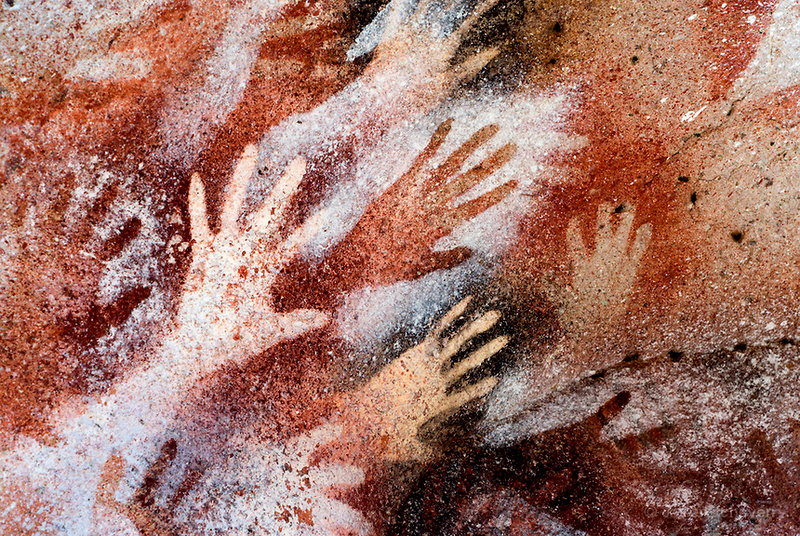 Do you see how that looks like an image on the ancient cave walls? This is a really old art exercise! Now enter into the drawing trance of childhood, adding words and images to your hand. This pencil drawing is courtesy of Gretchen Jones. 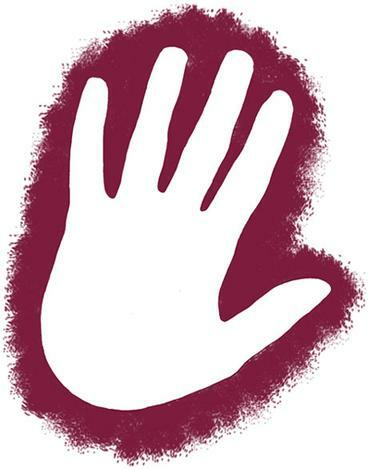 This is another approach to the hand exercise by Sandy Brown Jensen. 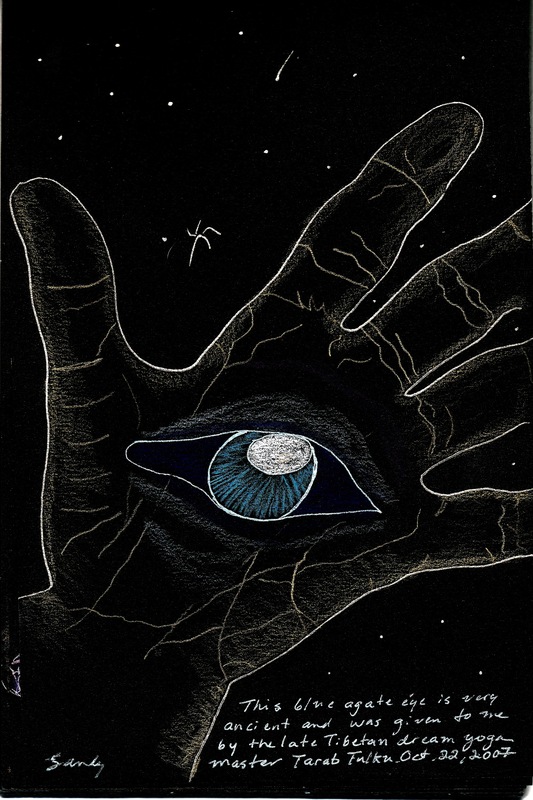 This hand appeared to me in a dream where I dreamed the late Tibetan dream yoga master Tarab Tulku placed a very ancient blue agate eye in my palm. 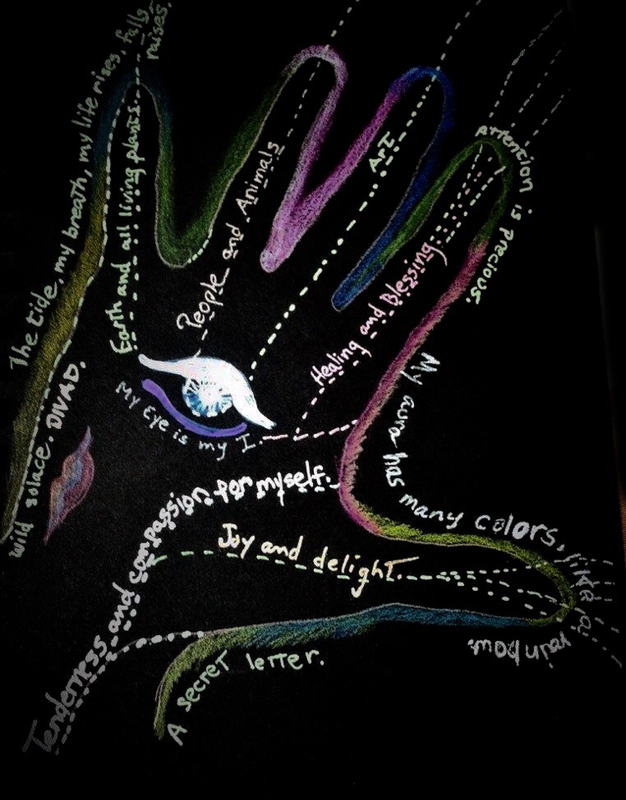 Have you tried drawing your hand and then “entering” it with words and images? What was your experience? Tell us in the Comment field above.